The implications of surging nationalism at the level of the nation-state, from escalating opposition to immigration to declining support for supranational entities such as the European Union, have been explored at great length. Far less attention has been paid to the parallel growth on the regional level of *substate* nationalism, which presents an altogether different threat to the stability of representative democracies. Rising substate nationalism can be attributed in part to some of the same international trends that have fueled populist movements around the globe. However it also builds on persistent perceptions of marginalization in particular national political arenas. Across the three papers of my dissertation I grapple with the consequences and causes of rising substate nationalism in Europe. 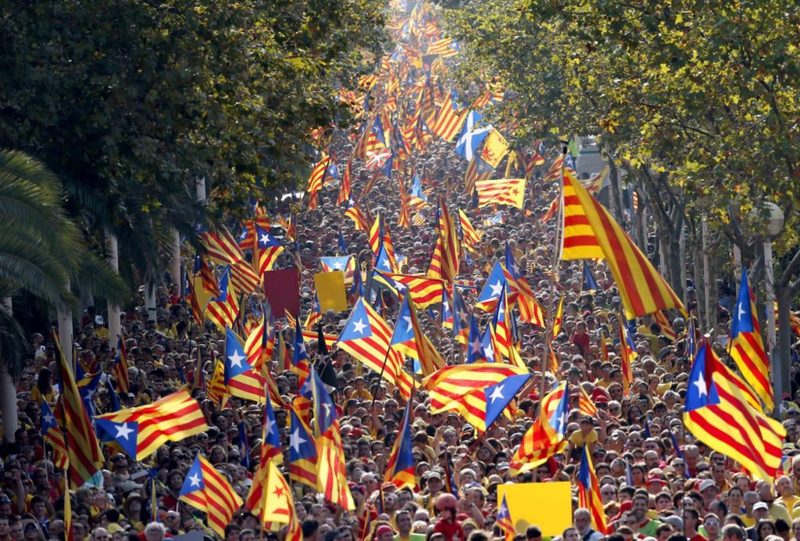 I concentrate on the critical cases of Spain and the United Kingdom, where recent independence referenda in Catalonia and Scotland have illustrated how substate nationalism is neither confined to weak states nor a thing of the past. In the first paper, I demonstrate that substate identity shapes individual policy attitudes. I propose that substate identity influences what I term policy scope, the physical area in which a policy is intended to apply and be carried out, distinct from policy content, the actual intended effects of a policy. I test this in the specific case of preferences for interpersonal redistribution through an original survey in Spain, with a planned extension to the United Kingdom. An embedded survey experiment confirms that the mobilization of substate identities affects the preferred scope of redistribution, holding policy content otherwise constant. Moreover, I argue that the importance of scope is not merely due to the familiar mechanism of in-group/out-group bias, but also also stems from differential trust in political elites, such that shared identity between respondents and elites increases support for redistribution. Drawing on joint work, in the second paper I expand my analysis beyond preferences for redistribution to more comprehensive measures of policy ideology, examining how substate identities reshape latent preferences. In place of unstable self-identification and responses to individual issue questions, I turn to more reliable scaling techniques. In order to estimate the latent preferences of substate groups, I derive and apply a Bayesian model for multidimensional group-level latent opinion, mdigrt, which allows researchers to obtain estimates of latent group ideology even given contexts of sparse survey data. Applying the mdgirt model to the Spanish and British cases reveals that the mobilization of substate nationalism produces a strong cleavage based on preferences for (de-)centralization alongside a more traditional left/right dimension. My results imply that taking responses to individual questions about policy content at face value, without accounting for how such responses interact with positions regarding (de-)centralization, leads to a fundamental misunderstanding of preference structure. The third paper pivots to the elite level. I investigate the strategic language adopted by substate nationalists in Spain and the United Kingdom, focusing on how nationalists respond to institutional and economic context, in particular the Great Recession of 2008. Relying on national and international survey data in conjunction with text analysis techniques, I demonstrate that substate nationalists in Catalonia and Scotland use anti-elite language common to populist movements across Europe to exploit an increasing sense of alienation from democratic institutions in the post-crisis period. Their regionalist populism, a discourse not apparent within other regionalist areas such as Wales or the Basque Country, represents a substate mode of the more prominent left and right-wing populist discourses found elsewhere in Europe. These three papers can also be seen as pieces of a larger puzzle: why do some substate nationalists movements take on a left-wing character, and others a right-wing character? Over the next few years, I intend to consolidate my dissertation papers and to broaden my analysis to encompass the right-wing regionalist movements of Flanders and Northern Italy. Expanding the universe of cases beyond the more left-wing Spanish and British cases will provide the necessary leverage to explain the origins of substate nationalists’ policy agendas.